Appearance : SeaSea is 5'6" with a curvy build. She has long lilac hair and piercing Violet eyes, where people who really know her can tell her true feelings. Although her complexion is fair, there is a tan to her skin, telling of years growing up in a warm climate. Her usual clothes are a purple vest top with black tie details, useful for storing berries for her pokemon, and a black skirt. Personality : Reserved, if there's one thing SeaSea can't stand it's bad manners and rudeness. She takes a while to warm to people, but is lively and bubbly with her friends. Fiercely loyal, by nature she is careing and nurturing and tries to avoid conflict. 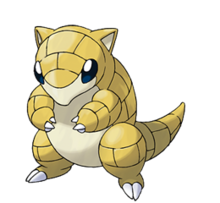 Her temperament is placid, but once riled her fuse is very short and will not hesitate to deliver cutting blows. Biography : The youngest, and only girl, of five children, she has only just begun to tap into her feminine powers and intuition. Growing up on the outskirts of Violet City, she loves the heat and struggles in cold climates. With four older brothers, she grew up watching them battle and learning through observation what to do, it wasn't until she was 16 she got her first Pokemon. Her father brought back her Growlithe from his last adventure, a slightly late 16th birthday present, and as the cute little bundle was place into her arms it was love at first sight. 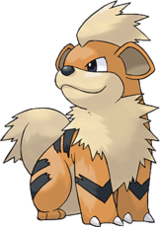 Xante,the rare female Growlithe, rarely leaves her side and new people have to gain her trust before she lets them anywhere near her trainer. Unfortunately, her father went missing on his very next adventure. Although general consensus was that he had fallen from the Tohjo falls whilst trying to reach the Indigo Plateau, SeaSea has never given up hope of finding him alive somewhere. The lose of her father was a devastating blow to her mother, and she passed on not much after leaving SeaSea to maintain the home for a four brothers. Her brothers are very protective, but soon took her under their wing to teach her what they knew about pokemon. She showed a natural aptitude for caring for sick and injured pokemon and her home soon became a mini hospital for all her brothers pokemon. As time passed, her brother adventured further afield, and came home less often. So one sunny morning, whilst on a walk with Xante, SeaSea made a decision. She packed up her bag and locked up the family home, walking out of the city and heading south with Xante by her side and the last two remaining pokemon her brothers had left behind; Otto, the Buizel and Fraz, the Minun. Bubble, her Teddiursa, sent to her by a dear old friend, finished off the small party as she headed out into the world, keen to explore and hopeful of finding her father.